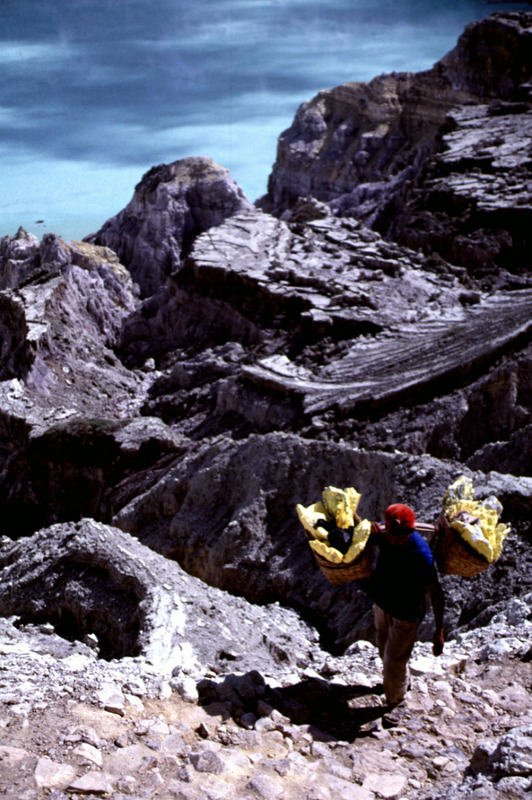 Volcanoes and humans have an uneasy coexistence. Volcanic eruptions can cause severe destruction. 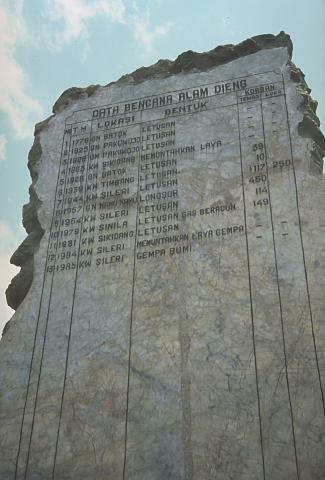 More than three dozen historical eruptions have caused more than 1000 fatalities. 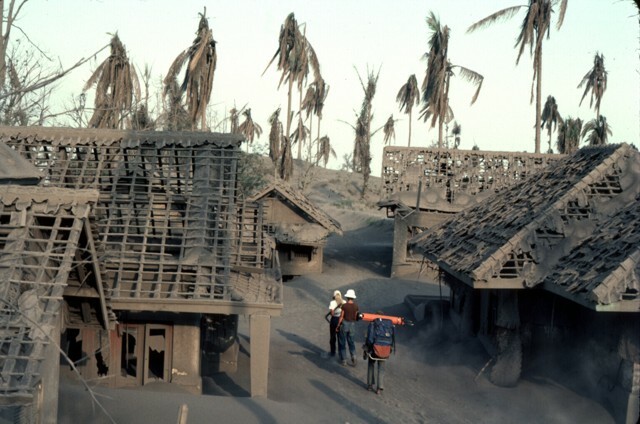 The heavy weight of ashfall can demolish the roofs of houses and buildings. Lahars, debris avalanches, and tsunamis can extend the devastating effects of an eruption well beyond the volcano. 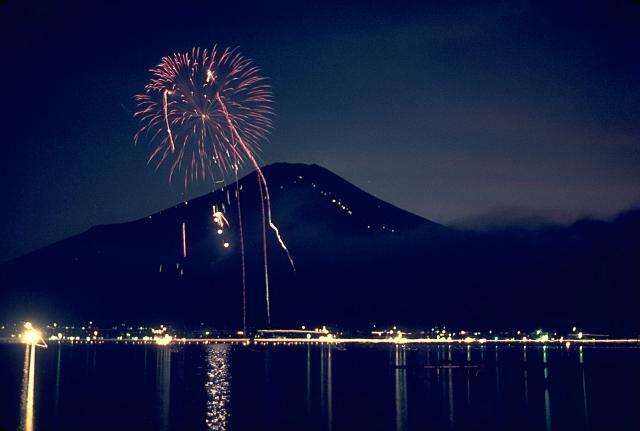 The beneficial aspects of volcanoes, in contrast, are less well known. Volcanoes provide essential soil nutrients for agriculture; volcanic soils cover more than 1.5 million sq km and form a significant component of the surface area in countries along the Pacific Rim of Fire. It is no accident that some of the most densely populated areas on Earth are in proximity to volcanoes. Volcanic materials are a source of aggregate for construction and additives used in a wide variety of commercial products. Geothermal heat is a major source of electrical power. 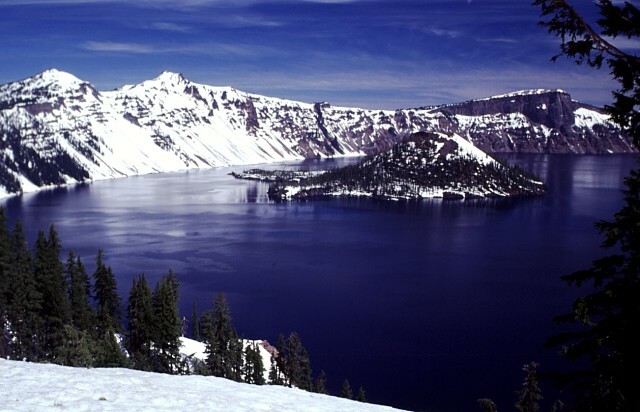 Volcanoes provide spectacular scenic destinations that are featured in many national parks and whose aesthetic attractions are of great economic benefit to surrounding communities. 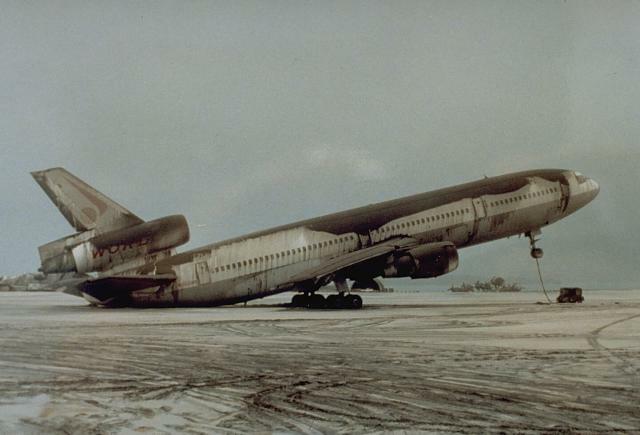 Heavy ashfall from the June 15, 1991, eruption of Pinatubo volcano in the Philippines caused this World Airways DC-10 to set on its tail. About 4 cu km of ash was erupted on June 15. It accumulated to depths of 10-15 cm at this airfield at the Cubi Point Naval Air Station, 40 km SSW of Pinatubo. Photo by R.L. Rieger, 1991 (U.S. Navy). Weathering of volcanic ash deposits can produce rich volcanic soils that are fertile nutrients for agriculture, such as these fields at the foot of Kaimon volcano in southern Kyushu. 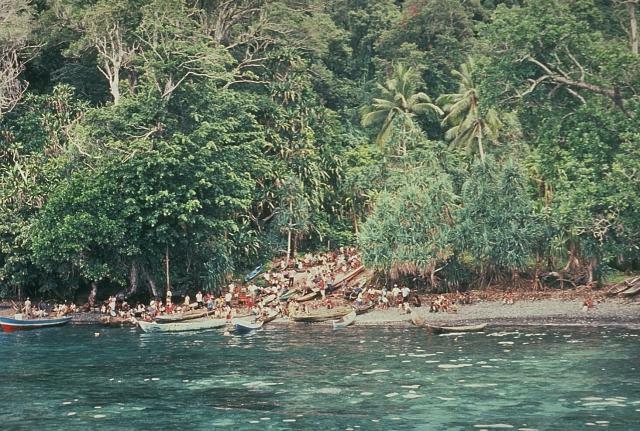 It is no accident that population density is high near volcanoes--although volcanic ash soils underlie less than 1% of the Earth's land surface, they support 10% of the world's population. 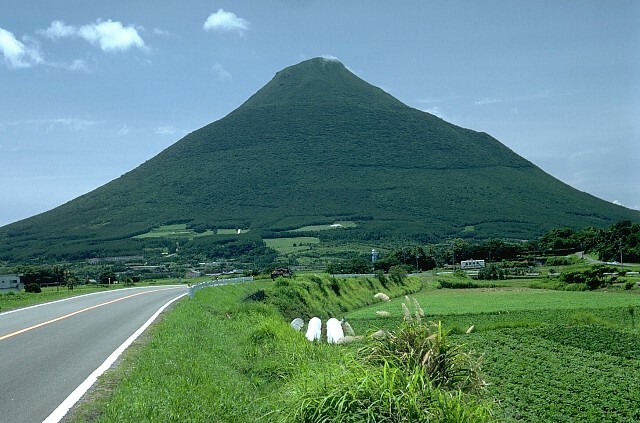 Volcanic soils support crops such as rice fields in Indonesia, the Philippines, and Japan, sugar cane in Hawaii and Central America, and vineyards in Italy. 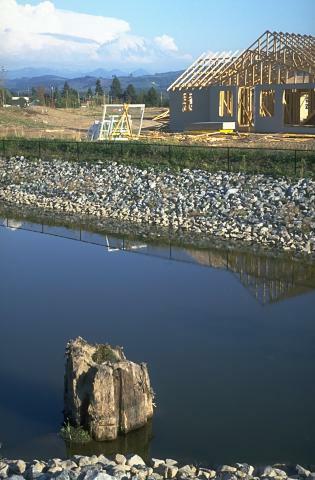 New housing is under construction on a mudflow deposit that originated from Mount Rainier, partially obscured by clouds in the center background. The tree stump in the foreground, left for landscaping purposes at the entrance to the housing development, was buried by the Electron mudflow about 500 years ago. The inexorable forces of nature often bring human efforts to a halt. 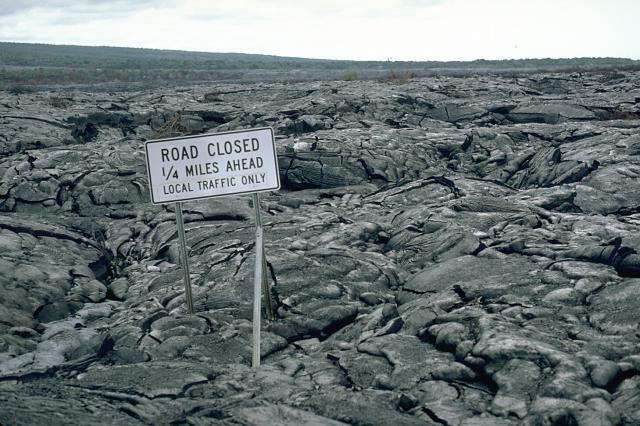 Lava flows from the current east rift zone eruption of Hawaii's Kilauea volcano frequently overran the coastal highway, enveloping traffic signs such as this one. Efforts to reconstruct the highway were eventually abandoned in the face of continued vigorous production of lava flows that reached the coast over a broad area.